The Vainglory Class System: How a mobile game excels at educating the playerbase. Time and again myself and other writers have discussed the need for Blizzard to revamp the class system in Heroes of the Storm. Some have also touched on the need for the game to include Overwatch’s “composition suggestion tips” from that game’s hero select screen. We’ve always discussed these things in theory, with little concrete evidence as to just how powerful such a system might be in HOTS. Today, I believe I have found the perfect example of just why role clarity and composition suggestions could be so powerful in this game. The answer has been sitting your pocket this whole time in a little mobile app called Vainglory. 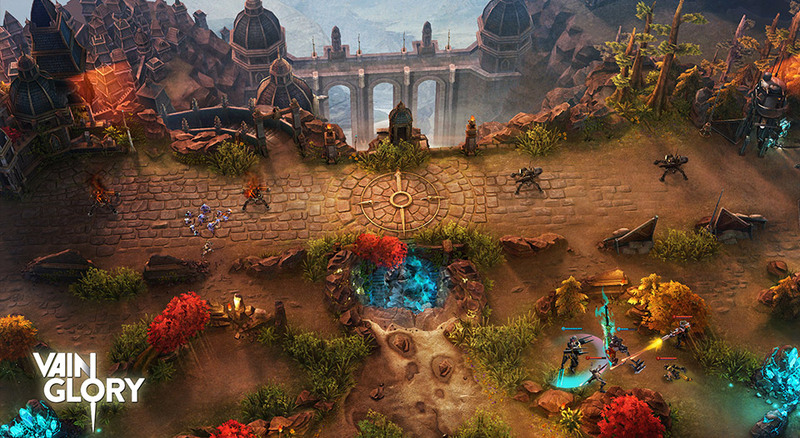 For those who don’t know, Vainglory is a MOBA played on your mobile device. It is free to play, and has a style similar to League of Legends or DOTA. You have an item shop, last hitting, a jungle, and a single map for all modes (until yesterday, but we’ll get to that). Personally I’ve greatly enjoyed my time playing the game over the last month, but the quality of the game itself is irrelevant to this topic. All you need to know right now is how the game’s class system works. Captains: Heroes with strong defensive tools, usually healing or crowd control. Captain heroes focus on buying defensive items that protect the team as well as vision items. Junglers: Heroes that are sturdy enough to fight jungle monsters, but also have either high damage or strong crowd control to gank the lane and fight enemy junglers. Carries: Fragile damage dealers. Almost exclusively purchase damage-boosting items, and stick to the lane to farm gold and deal more damage. Similar to LoL, damage is divided into two categories--crystal and weapon. Carries and Junglers will focus on one type of damage, and an ideal team composition has a healthy mix of both damage types. Yesterday, Vainglory released its 5v5 mode, but before that the game was exclusively played on a map with a single lane and three players on each team. In a 3v3 game, your team composition is hugely important. A team without a carry is going to struggle hard in late game teamfights, and a team without a captain will lack the defensive tools necessary to keep the carry safe from an enemy jungler. This is even further complicated by the fact that the game has no chat function.. It is impossible to type a message to your team in the lobby. However, Vainglory’s system not only educates players on how to build a team composition, but encourages communication without players saying a word. When you enter a lobby, the game shows alerts much like Overwatch. “No Captain Hero,” “No Ranged Hero,” “No Jungler Hero,” etc. Additionally, when you choose your hero you have the option to change the color of their portrait to blue or red--blue for crystal damage and red for weapon damage. The combination of these to systems encourages players to create a coordinated team comp with a healthy balance of damage types. I have played over 100 matches of Vainglory, and have had maybe five matches with a bad team comp. The composition may not be perfect, or ideal for the competitive meta, but there is always a Jungler, a Captain, and a Carry, and usually a mix of damage types. This is even true in the more casual modes. Where the Vainglory system truly excels, however, is in the new 5v5 mode. Think about this for a second. For years now players have played every single game of Vainglory on a single lane map. As mobile gamers, there are likely many players who have not played or actively followed more traditional MOBAs and are unfamiliar with the standard team setup. With no chat function, the game has to teach players how to construct a 5v5 composition, and how to play a three-lane map. The system does so beautifully. The composition suggestions evolve to suggest that each lane needs a dedicated hero, and that you still need a Captain and a Jungler. Before locking in a hero, you can tap on your portrait to select which lane or role you’d prefer, and the suggestions shift based on those preferences. Again, compositions haven’t been perfect, but I’ve always had a Jungler, a Captain, and a warm body committed to each lane. By creating a clear class system and encouraging communication during hero selection, the game educates and rewards players for coordinating and building a reasonable team composition. Don’t Ruin My Yakety Sax! Now, for some people, the appeal of Heroes of the Storm is in the notion that team compositions do not need to be so rigid. They shudder at the thought that a system like Vainglory’s could eliminate all creativity and just lead to more people yelling in the draft when you don’t pick exactly the right hero. Heroes of the Storm doesn’t adhere to the traditional MOBA concept of five dedicated roles, and should embrace that fluidity! While that all seems wonderful, it has been a lie for over a year. Outside of Quick Match (see this article for my opinion on that nonsense) the game has evolved to a place where some adherence to a strict composition is necessary. If your composition does not have a true healer, a true tank, some form of ranged damage, and a decent offlaner, you will be at a huge disadvantage against any team that has those things. That’s just how competitive video games work. If you want to win, you have to adhere to the meta to some degree. Hearthstone players don’t get to legend without building a deck that can win against the strongest decks in the meta, and HOTS teams can’t win without building a reasonable team composition. Further, I would argue that the game is actually more fun when played with an understanding of how to build a team comp. The problem with heroes is that the current system actually works against teaching a player how to do so. Not all Warriors are Tanks, and not all Supports are Healers. Some Assassins are Offlaners, while others can fill the Primary Ranged role. Most team comps don’t actually need a Specialist, and every Specialist has a radically different role in a composition. 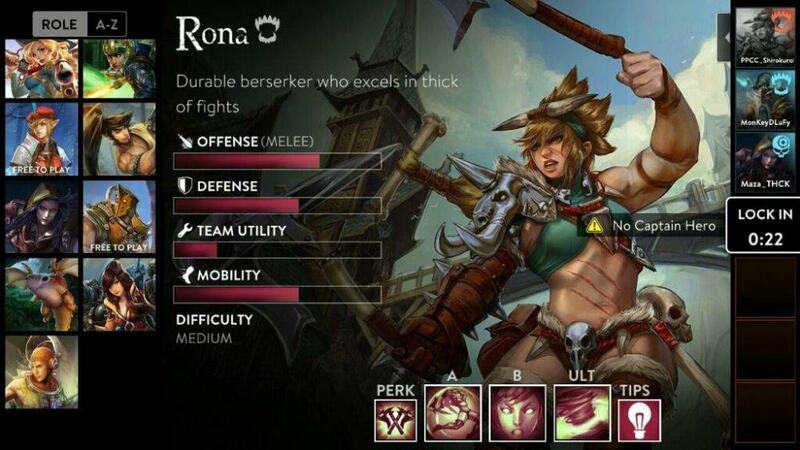 These are problems created by the lack of clarity within the game, and Vainglory’s example shows that these are easily solvable problems that take little communication. All you need are actually relevant classes, and a few words that pop up on screen when the team doesn’t have a tank. How would you change the class system? What roles do you think the game should suggest? Be sure to let me know in the comments or over in the Reddit thread. I wrote my own proposal for a new class system, be sure to check that out as well! And make sure you don't miss the latest episode of my YouTube show, Entry Level Esports where I go into great detail about how I was wrong about the NA HGC. I haven't tried Vain Glory, but I have been playing Arena of Valor (5v5 mobile MOBA). Their class system is Tank, Warrior, Support, Mage, Marksman, and Assassin. I believe Smite has a similar class system. Similar to Vain Glory, AoV will tell you "Not enough tanks" etc. It's cool though because some characters can fill multiple roles, so it takes that into account. Eventually, it will tell you that you have a balanced team when the right criteria are met (usually 2 front liners, one of which is a warrior, 1 mage, and 1 marksman). Since technically, anyone can jungle, it doesn't usually call that out, and I wish it would (or at least when there are too many junglers, but that's a different soap box).